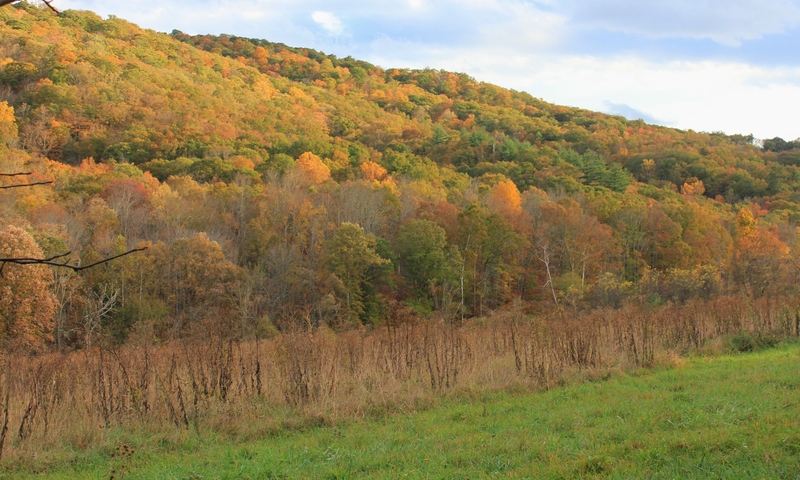 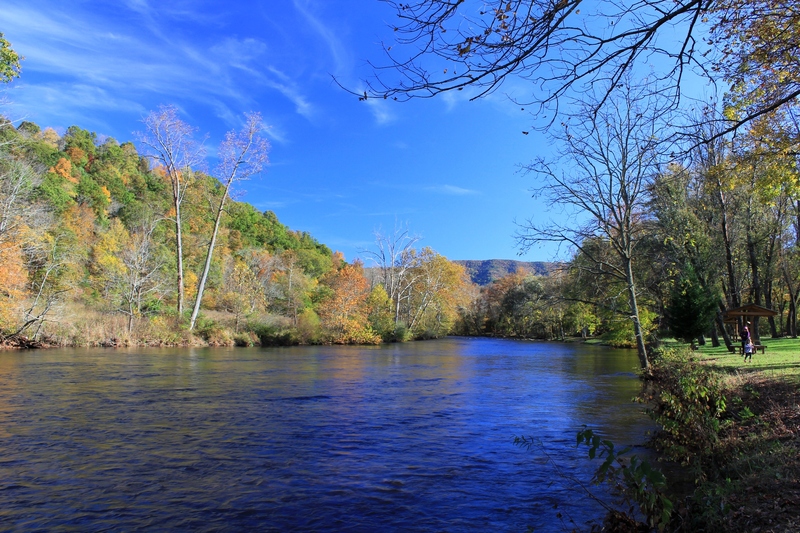 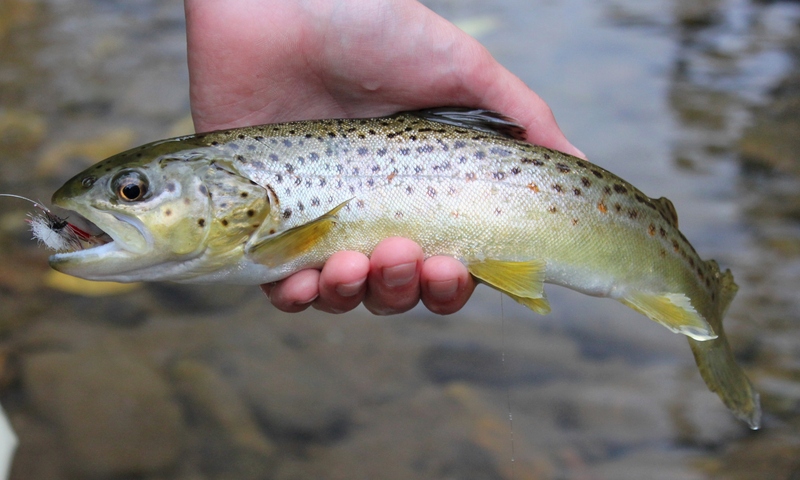 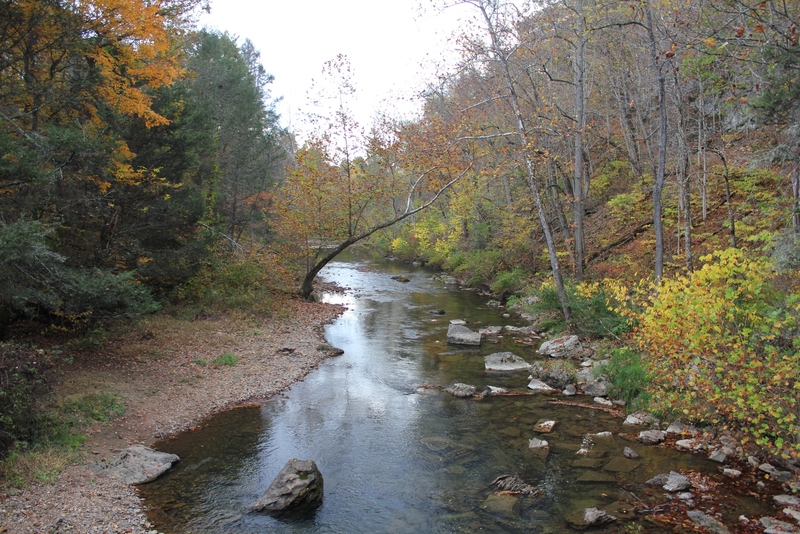 The Jackson River is one of the most renowned trout streams in Virginia, flowing south until it merges with the Cowpasture River forming the beginning of the James. 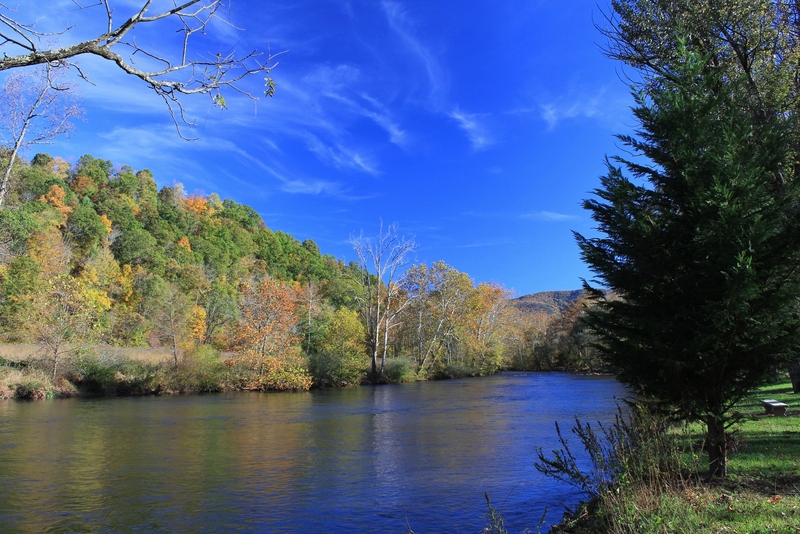 There are two generally known sections of the Jackson River—the lower Jackson, below the dam at Moomaw Lake in Alleghany County, and the upper Jackson, a free-flowing river in Bath County with headwaters reaching almost into Highland County. 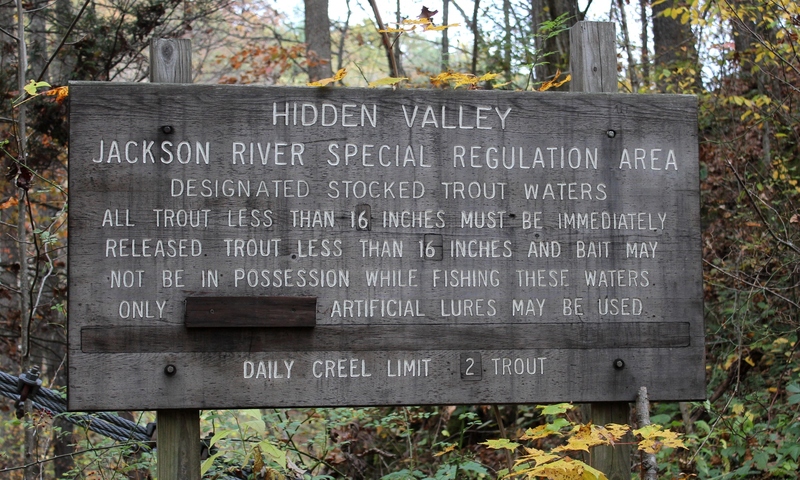 The photos in this article are about the upper Jackson. 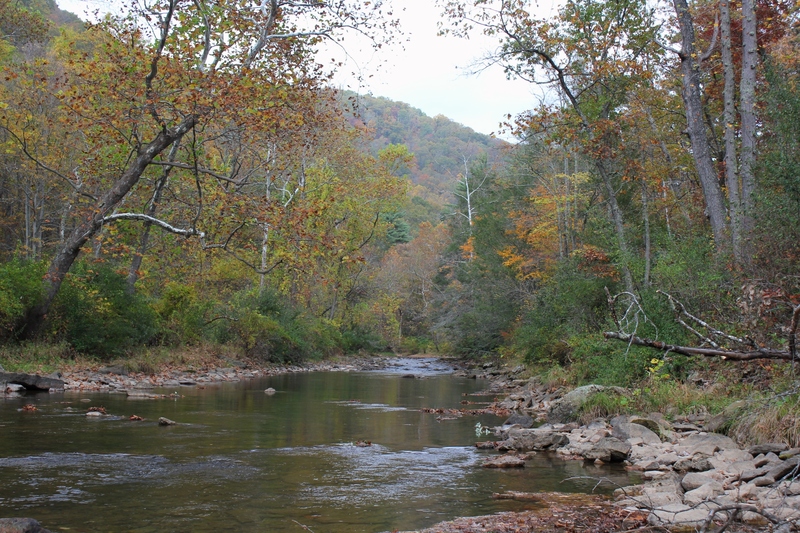 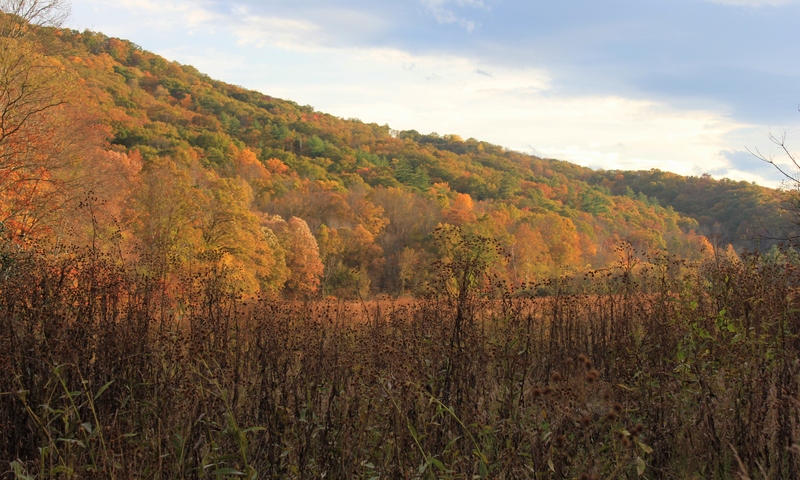 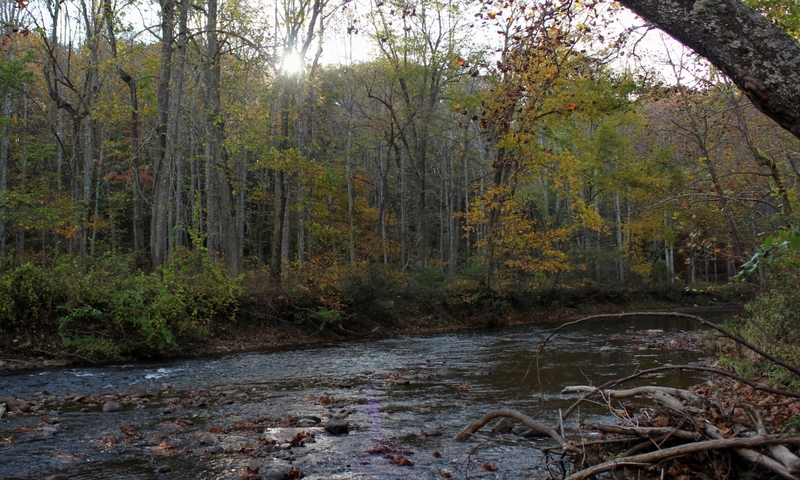 This section of the river flows through a lengthy, roadless section of the George Washington National Forest, about three and a half miles of nothing but river with a walking trail. 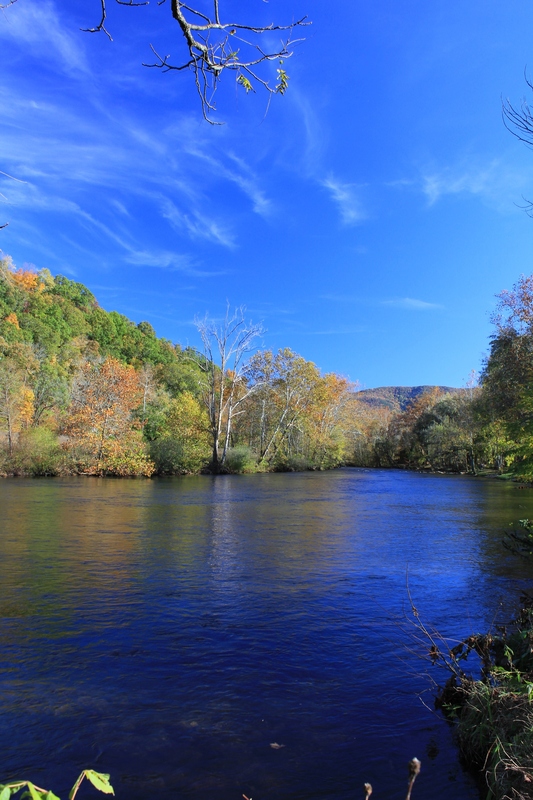 For Virginia (and most any Eastern state), this is a lot of pristine riverfront without road access. 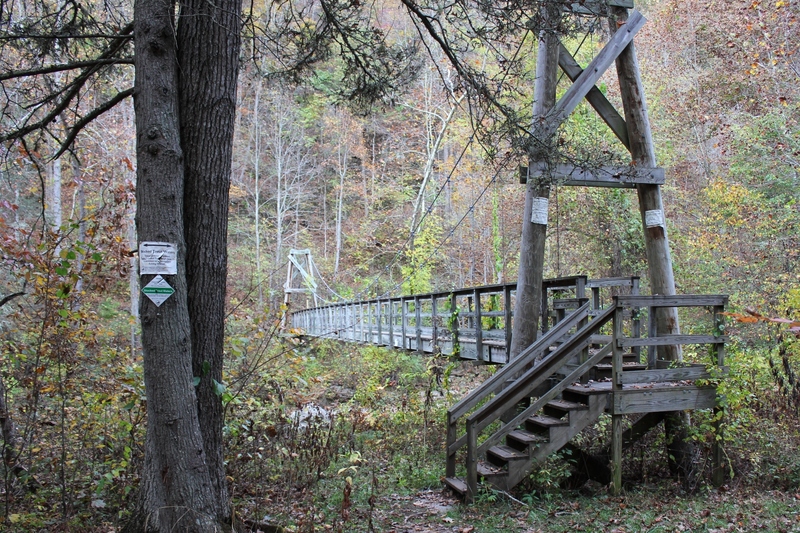 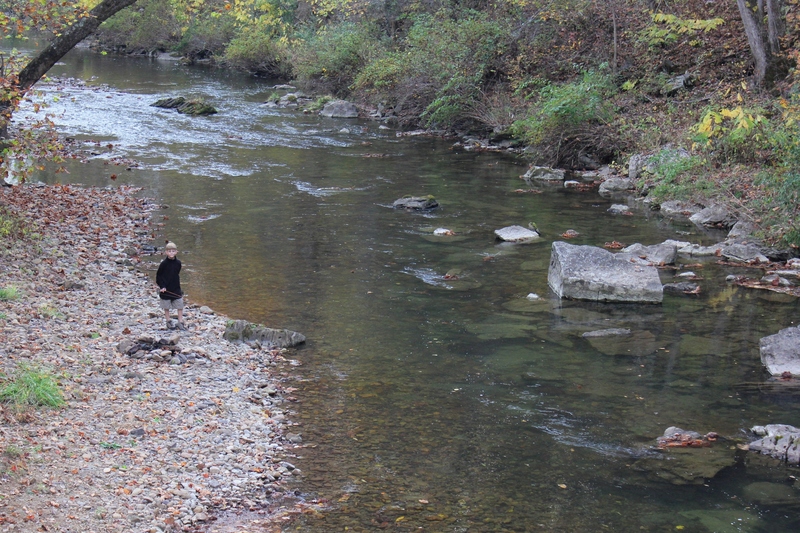 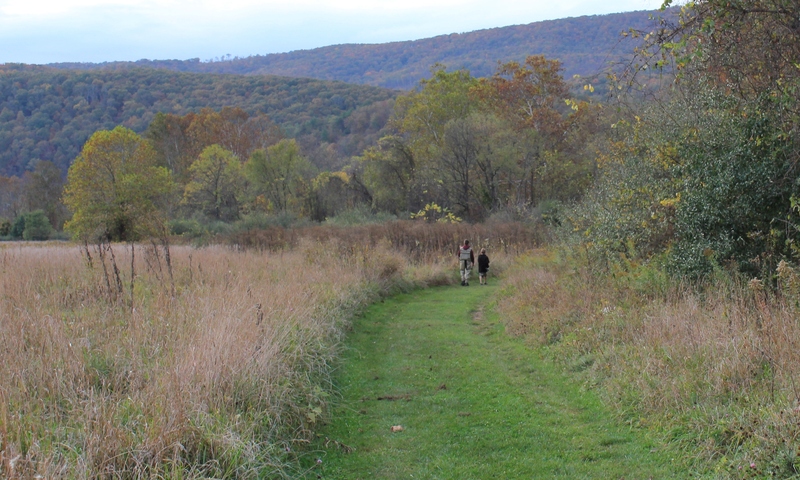 In October 2013, my sons and I traveled here, and we walked and fly fished most of the river. 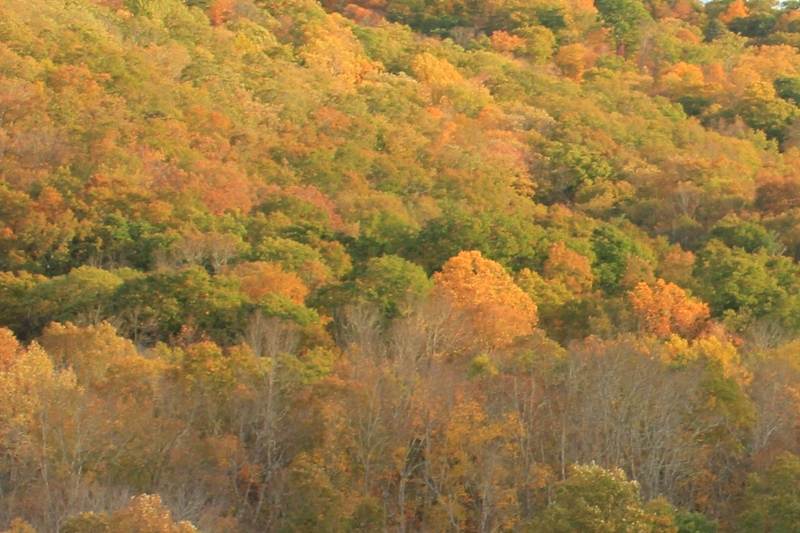 The fall colors were at their peak, absolutely stunning.